240 pages | 64 B/W Illus. 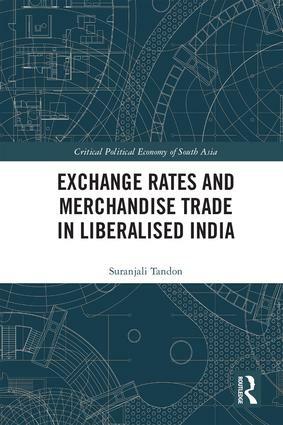 This book examines the linkages between exchange rates and India’s merchandise trade since the 1990s. It looks at India’s trade in the post-liberalisation period through its two main components: commodities and trading partners, and provides a bird’s eye view through aggregate analyses accompanied by a historical narrative of the evolution of trade and exchange rate dynamics. Presenting a comprehensive analysis of bilateral and product-specific trade, the book explores the impact of exchange rate on labour intensive sectors and charts out major development. It also offers compelling evidence to suggest that if some commodities are identified as integral to India’s export plans, then the impact of exchange rate must be weighed by the Reserve Bank of India (RBI) prior to a market intervention. This timely volume will be of interest to scholars and researchers of economics, business and finance, development studies, trade, business and industry as also practitioners, think-tanks and policymakers. Suranjali Tandon is Assistant Professor at the National Institute of Public Finance and Policy, New Delhi, an autonomous institute of the Ministry of Finance, Government of India, and has been a consultant with its tax research team. She completed her PhD in Economics from Jawaharlal Nehru University, New Delhi.